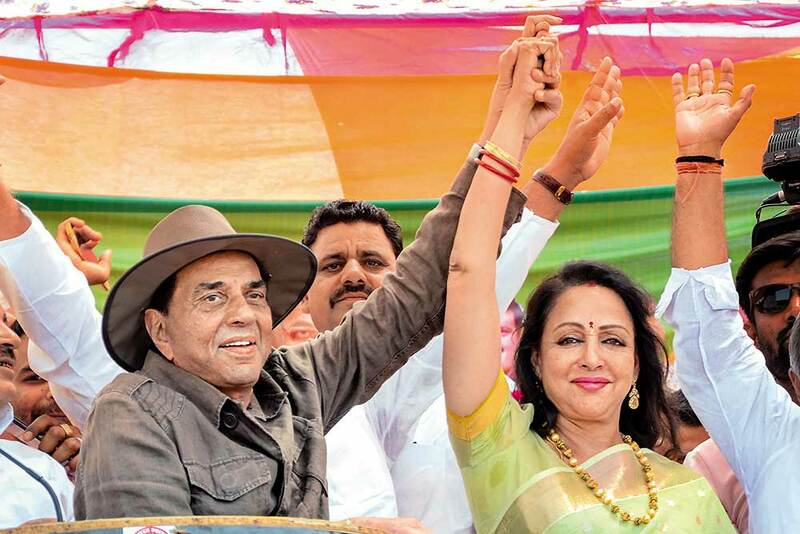 Public display of marital harmony surfaces on the biggest fie­sta of all—the LS polls, where Dharmendra defied ill health to campaign for wife Hema Malini, sitting MP of Mathura. 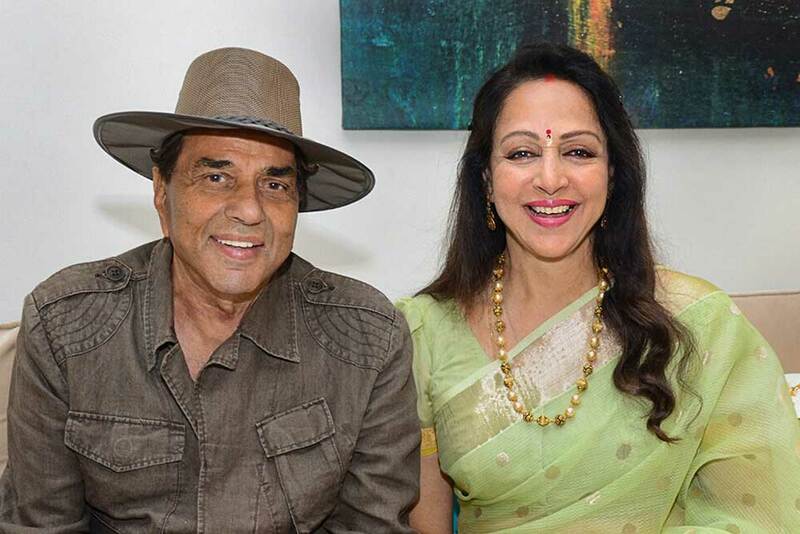 Drawing on his farmer credentials as well as his character in Sholay, Dharam urged ‘gaonwalon’ to vote for Hema. Did he stumble into the stern “Basanti tum....”. Possibly not. 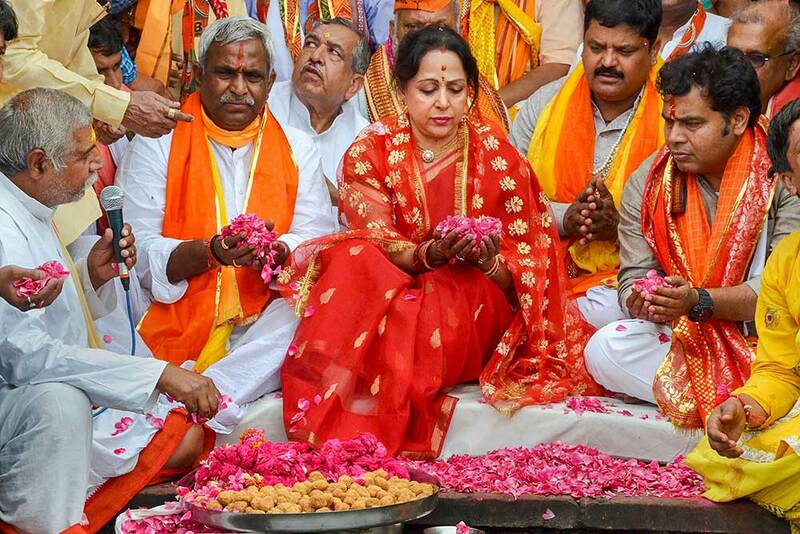 BJP candidate Hema Malini offers prayers during river Yamuna Pujan on the last day of election campaigning for second phase of Lok Sabha polls, in Mathura. 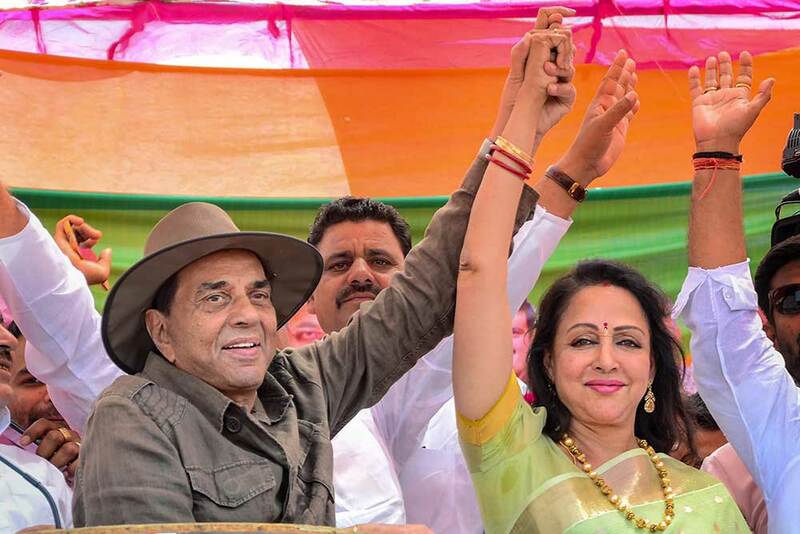 BJP Candidate from Mathura Lok Sabha seat Hema Malini with her husband Dharmendra, during an election rally in Mathura. 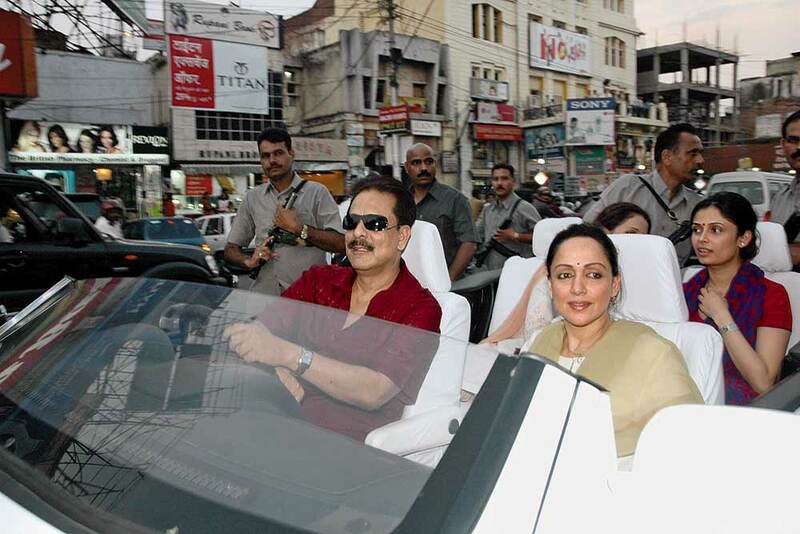 BJP candidate from Mathura Lok Sabha seat Hema Malini with her husband Dharmendra, in Mathura. 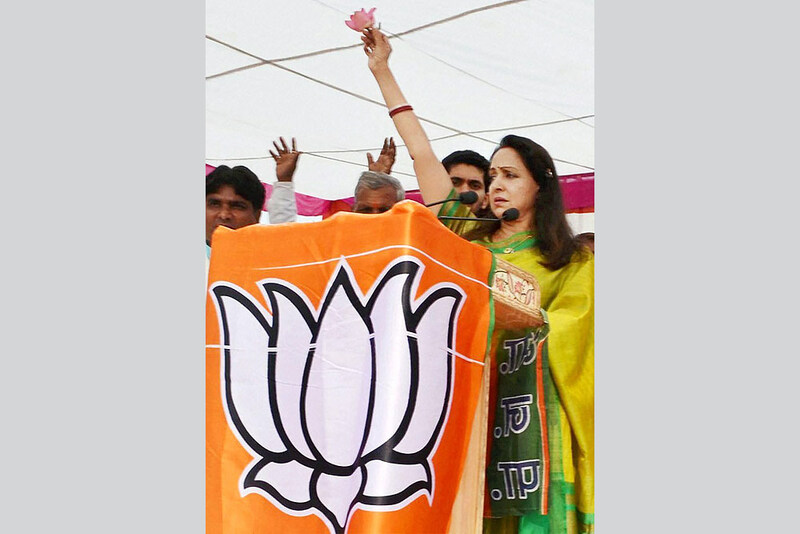 BJP candidate Hema Malini campaigns for the Lok Sabha polls, in Mathura. 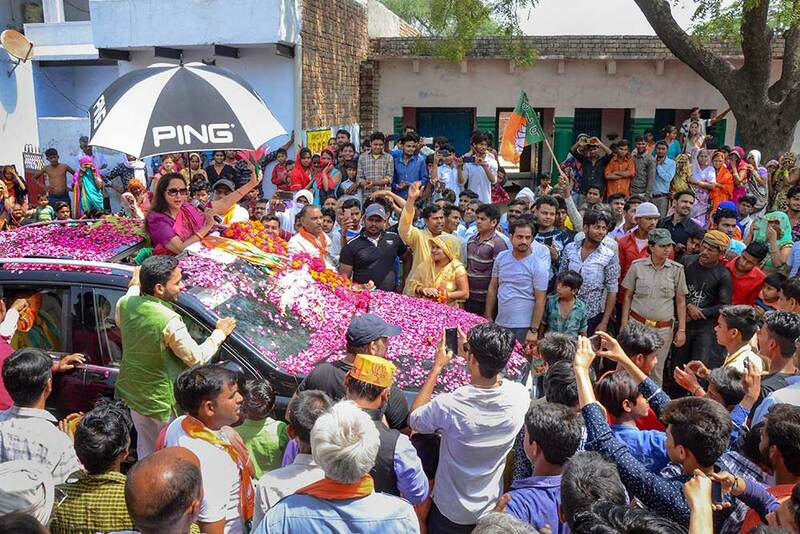 Bharatiya Janata Party candidate and sitting MP Hema Malini greets her party supporters during an election campaign ahead of the Lok Sabha elections, in Mathura. 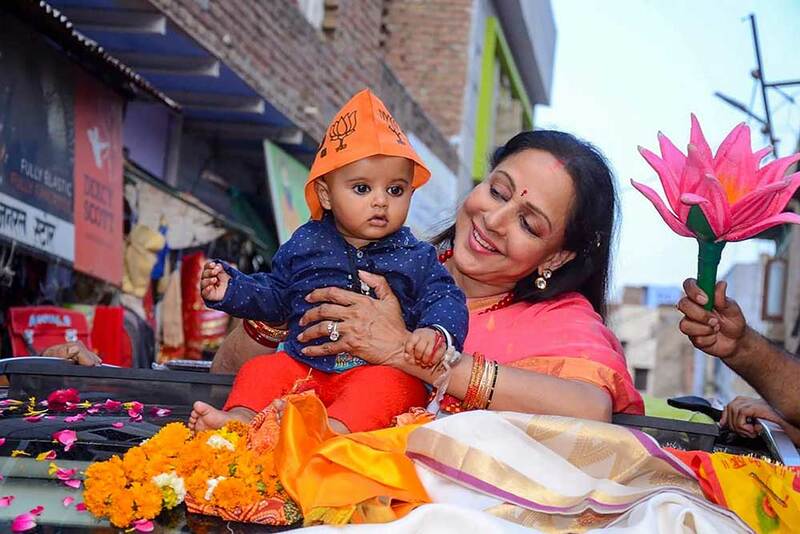 Bharatiya Janata Party candidate and sitting MP Hema Malini during her election campaign, ahead of the Lok Sabha polls, in Mathura. Bharatiya Janata Party candidate and sitting MP Hema Malini during an interview with PTI at her Vrindavan residence, in Mathura. 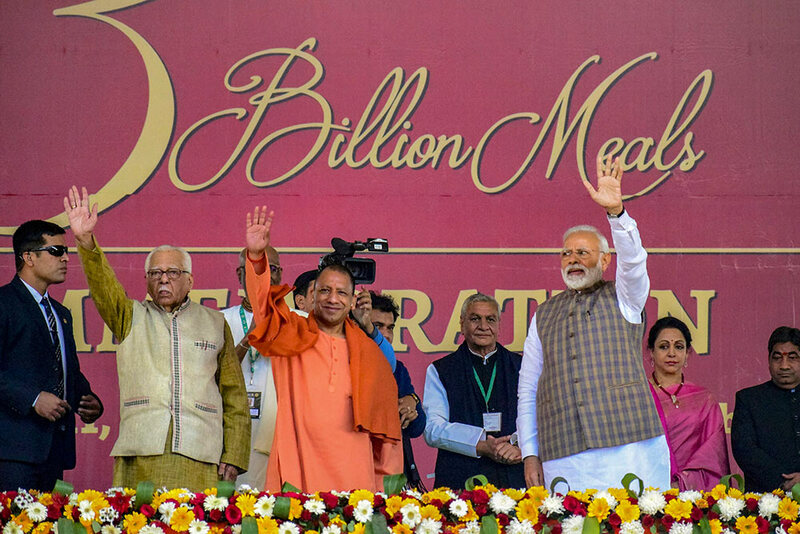 Uttar Pradesh Chief Minister Yogi Adityanath during an election campaign for Bharatiya Janata Party candidate and sitting MP Hema Malini, for the upcoming Lok Sabha polls, in Mathura. 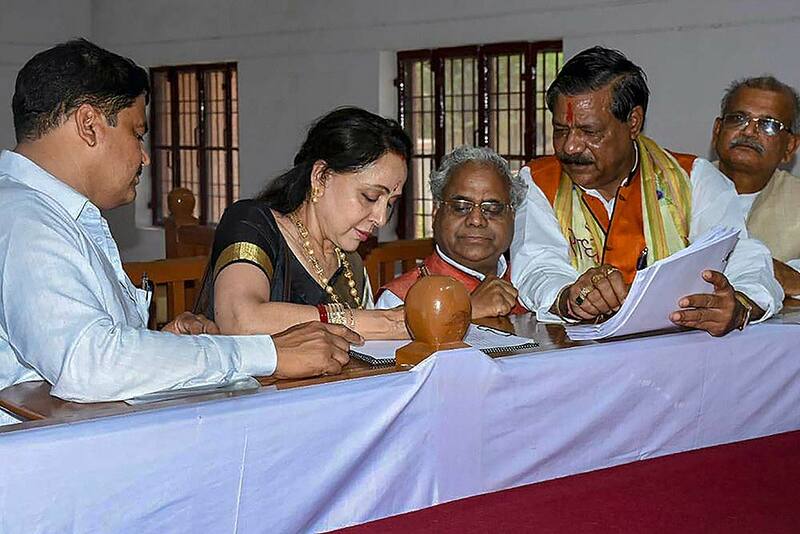 Bharatiya Janata Party candidate and sitting MP Hema Malini files her nomination papers from Mathura constituency for the upcoming Lok Sabha polls, in Mathura. Bollywood actors Varun Dhawan and Hema Malini attend the Zee Cine Awards, in Mumbai. Bharatiya Janata Party leader and Bollywood actress Hema Malini performs in a dance drama 'Ma Ganga' at Sangam, the confluence of rivers Ganges, Yamuna and mythical Saraswati, during the Kumbh Mela in Prayagraj. BJP MP and actress Hema Malini performs at a cultural programme during 15th Pravasi Bharatiya Divas function, in Varanasi. 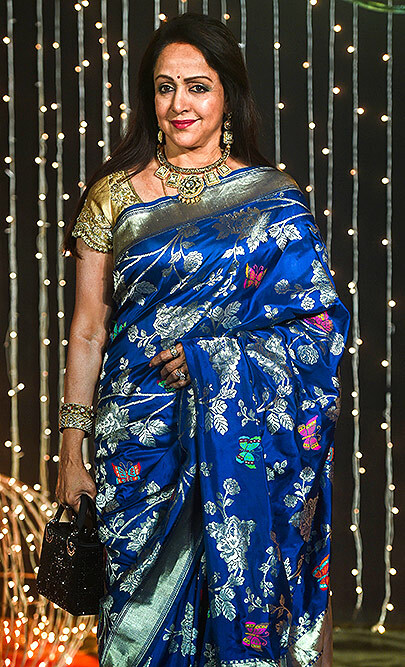 Bollywood actor Hema Malini poses for photos at the wedding reception of Priyanka Chopra and Nick Jonas, in Mumbai. 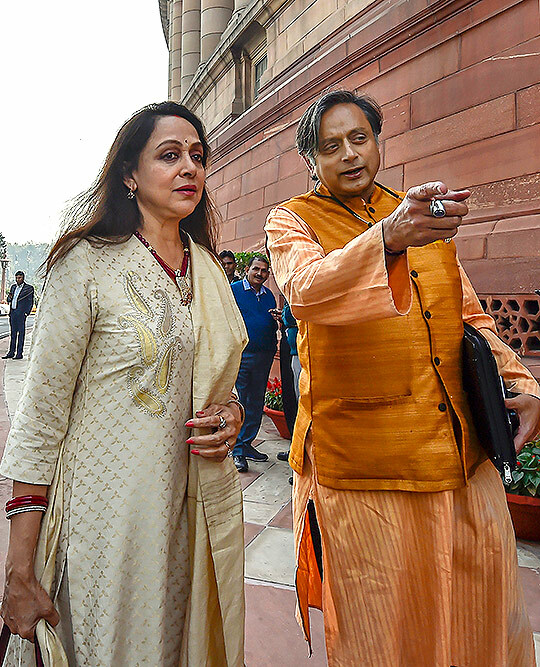 BJP MP Hema Malini and Congress MP Shashi Tharoor during the Winter Session of Parliament, in New Delhi. Bollywood actress Hema Malini with daughter Esha Deol showcases creations by designer Sanjukta Dutta at the Lakmé Fashion Week (LFW) Winter Festive in Mumbai. 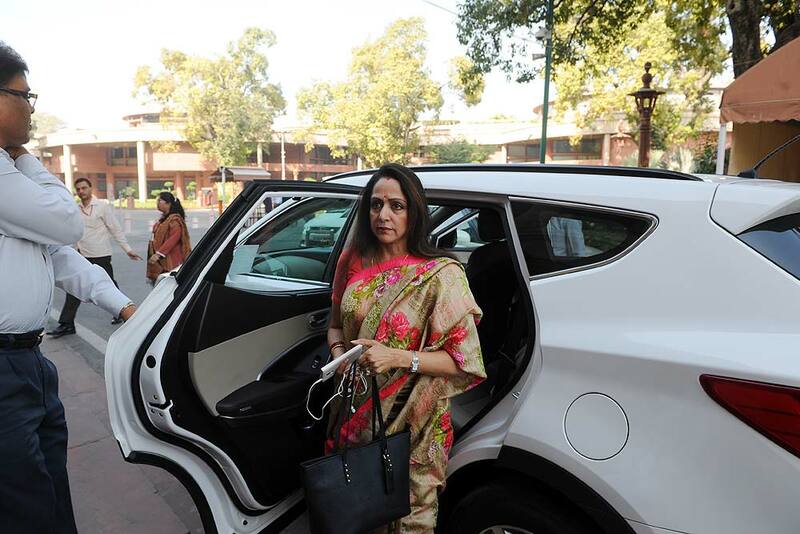 BJP MP and actress Hema Malini arrives to attend the Monsoon Session of the Parliament, in New Delhi. 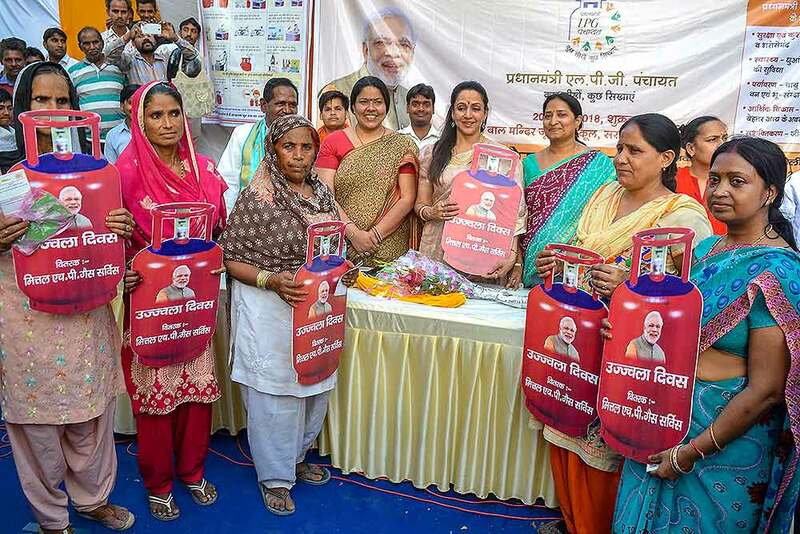 Bollywood actress and BJP MP Hema Malini during distribution of LPG connections under Prime Minister Ujjwala Yojana in Mathura. 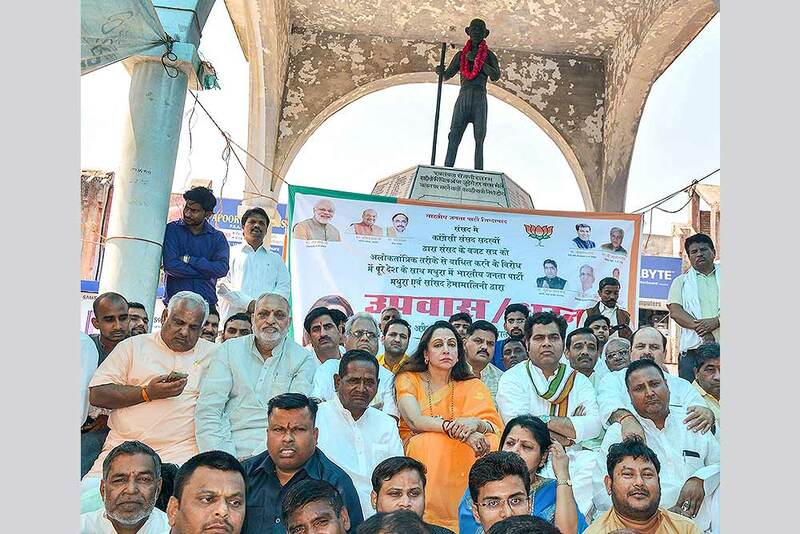 BJP MP Hemamalini along with Uttar Pradesh Power Minister Srikant sitting on fast in protest against the recent stalling of parliament proceedings by the opposition, in Mathura. 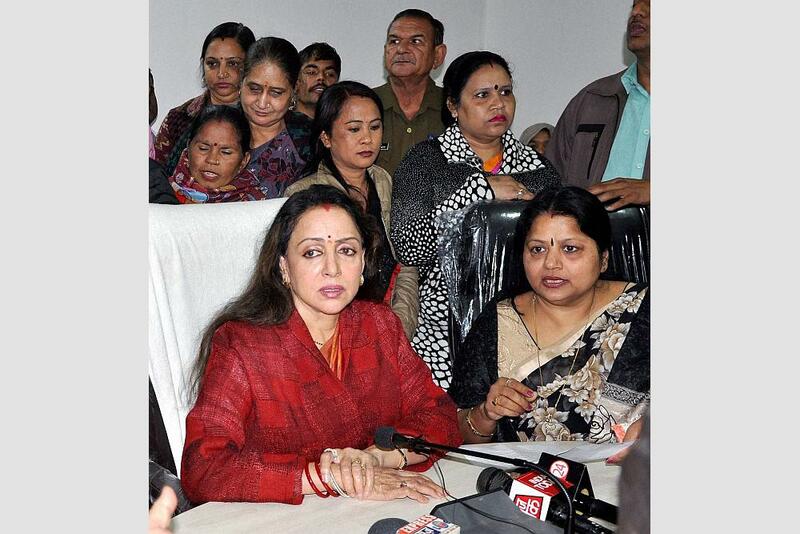 Even the dauntingly ageless Hema Malini has to back down on her home turf. 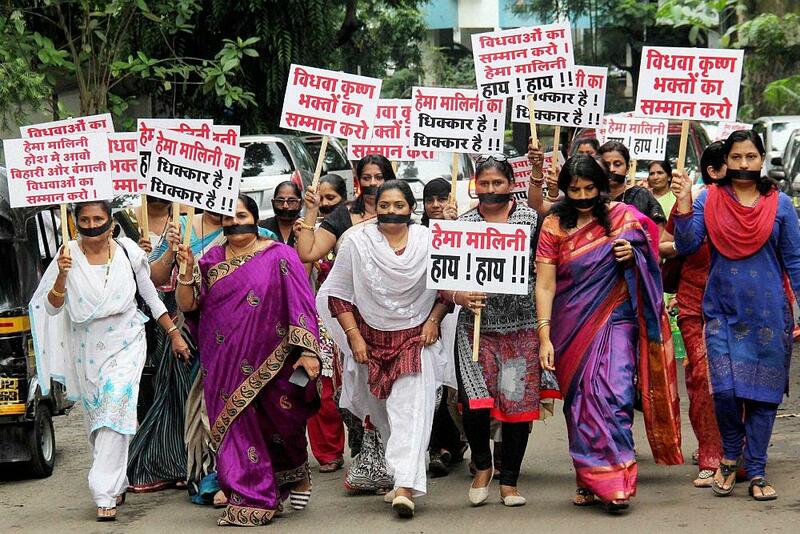 The Mathura MP was dressing up as Radha for the Holi extr­avaganza, Rangotsav, when the National Green Tribunal wagged its fingers and forced a shift of venue from the Yamuna’s banks to a veterinary university to clean up after the celebration. The Lord and his consorts played Holi without mucking up. Mere mortals, we can’t aspire to that. 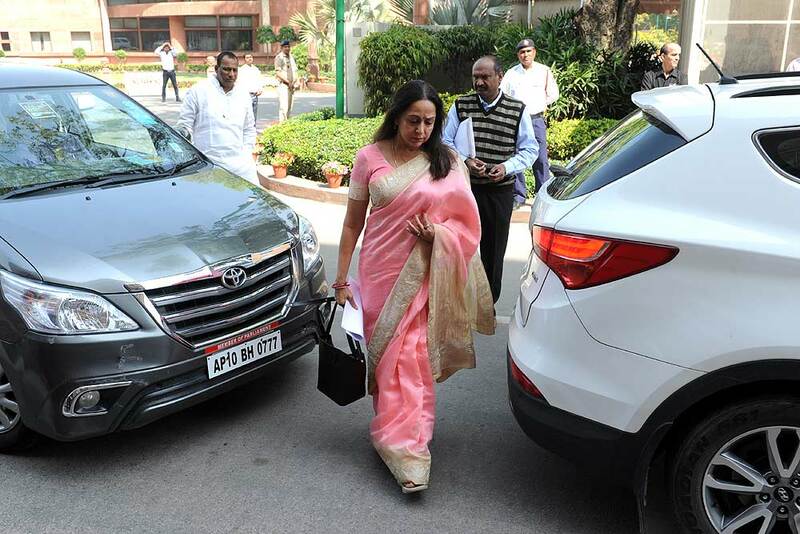 BJP MP Hema Malini arrives at parliamanet on the opening day of the winter session of parliament in New Delhi. When have superstar and dreaded film editor come closer in terms of glamour? Never since Hema Malini and Shobhaa De rocked Bollywood in the ’70s. Since when did such a friendly duo step into their 70s with oomph intact? Never before, till they got together for some gossip and photos. No, not for saree ads; they just happen to be this luminous. Actress and BJP MP Hema Malini performs during the International Gita Mahotsav 2017 in Kurukshetra. As always, we start with a note of disbelief: does she look as if she’s on her 69th birthday? You know who. 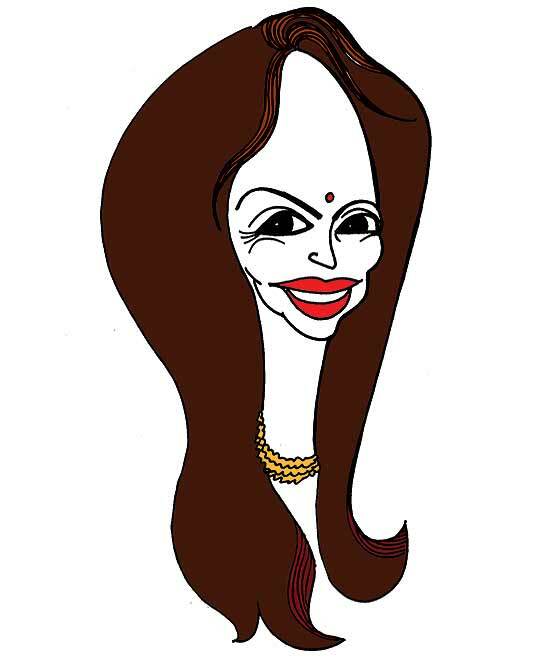 Right, the occasion was used as the launch of a biography of the undimmed Hema Malini. We hope Ram Kumar Mukherjee’s Beyond The Dream Girl spills her best-kept secret. 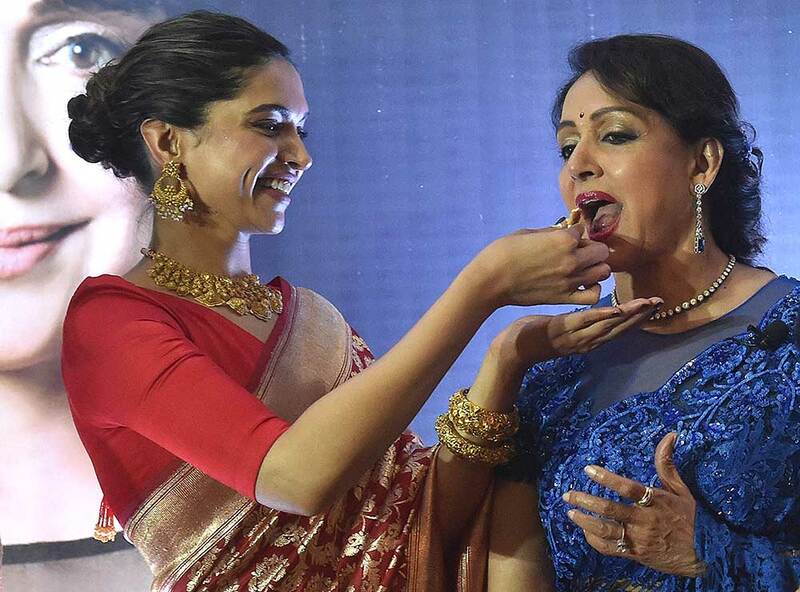 The ever gorgeous Deepika—marvel at her enormous bangles—appeared as the cake-feeder. 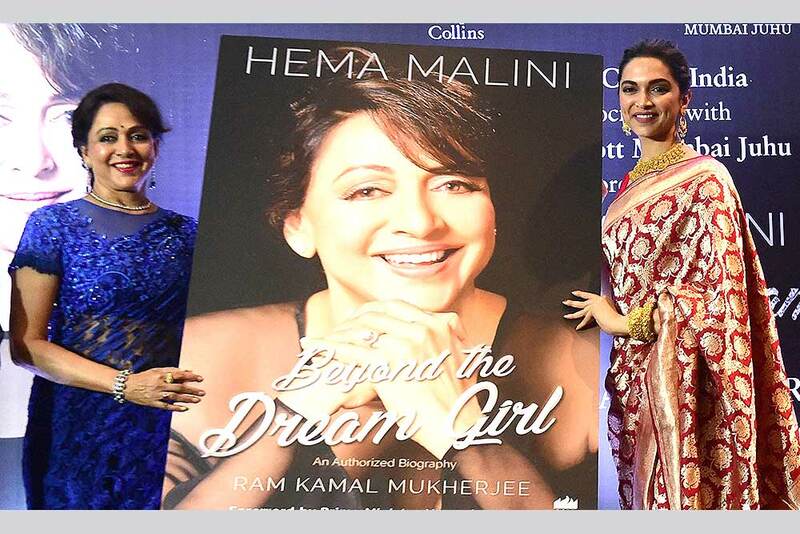 Actress Deepika Padukone launches legendary actress Hema Malini's official biography 'Beyond the Dream Girl' in Mumbai. Actress and BJP MP Hema Malini along with her daughters Ahana and Esha cutting a cake to celebrate her birthday in Mumbai. Actress Deepika Padukone is also seen. Veteran Bollywood actress and BJP MP Hema Malini performs with the artists during 'Synergy'-a cultural event in Kolkata. 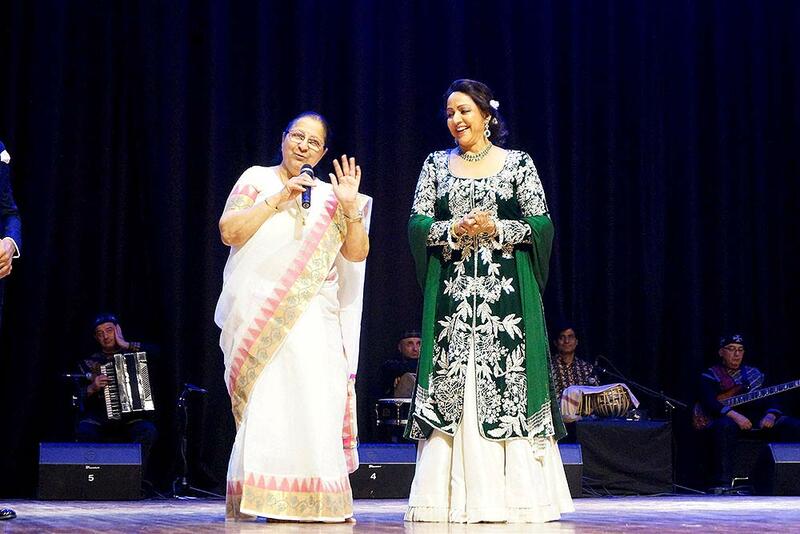 Lok Sabha Speaker Sumitra Mahajan and actress-MP Hema Malini at India-Georgia cultural ‘SYNERGY’ event in New Delhi. BJP MP Hema Malini at Parliament House during the 2nd part of budget session of Parliament, in New Delhi. 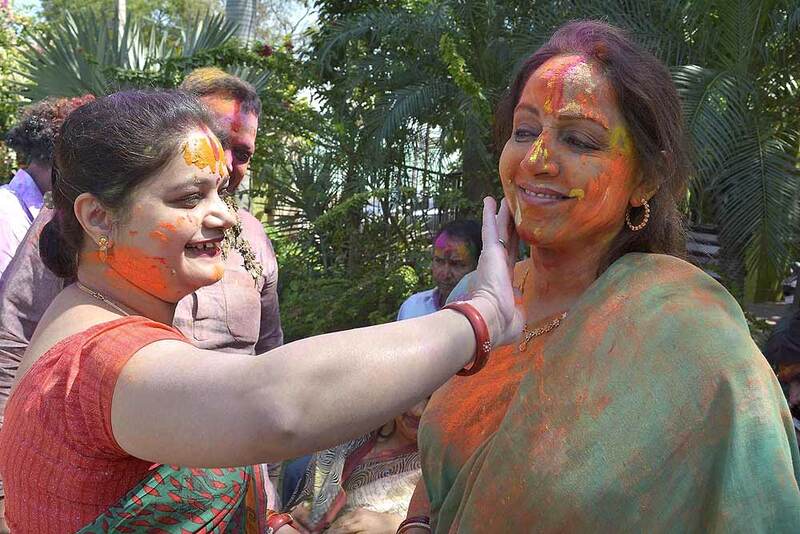 BJP MP and Bollywood actress Hemamalini celebrating Holi festival in Mathura. Senior BJP leader Murli Manohar Joshi and actress Hema Malini during the first day of the 2nd part of budget session of Parliament, in New Delhi. 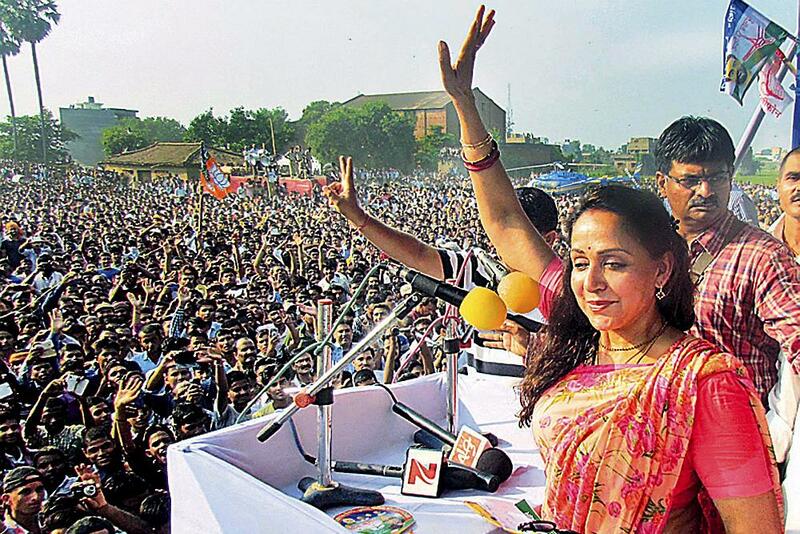 Bollywood actress & BJP MP Hemamalini addressing the crowd at an election meeting in Shergarh near Mathura. Drinking all that RO water has done her good. 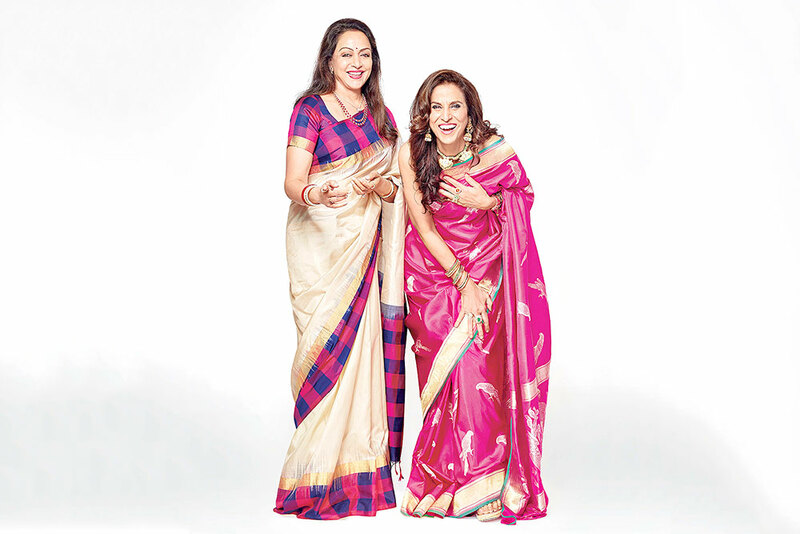 In her biography, Hema Malini says dancing has ­always been her first love. Just don’t do it in front of dirty canids, ma’am! 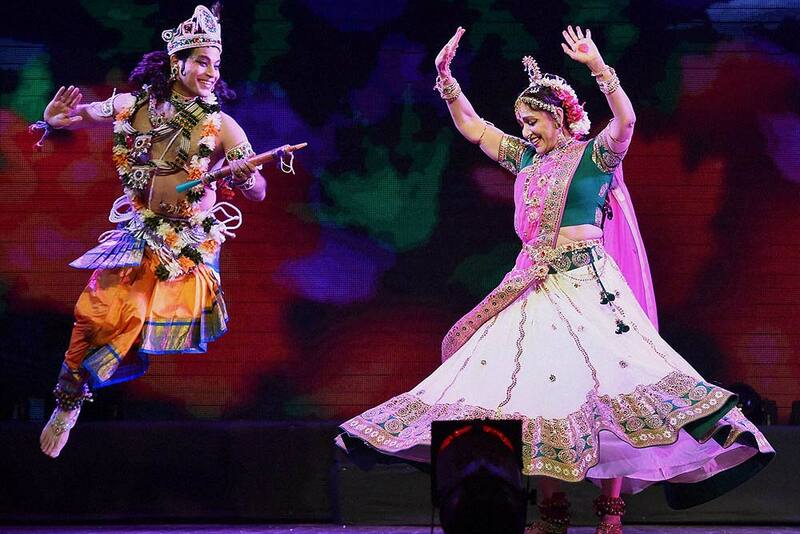 Bollywood actress and MP Hema Malini perform her classical dance play Draupadi, in Mumbai. 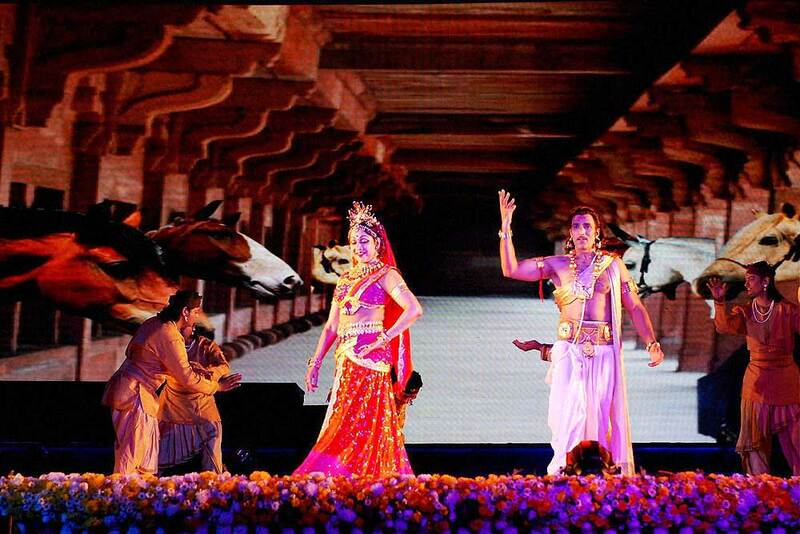 Hema Malini along with other artists, performs during the cultural night of Global Rajasthan Agritech Meet, 2016, in Jaipur. Bihar Deputy CM Tejashwi Yadav offers a shawl to veteran actress and BJP MP Hema Malini during a function to celebrate 90th anniversary of Bihar Chamber of Commerce and Industries, in Patna. RJD chief Lalu Prasad is also seen. 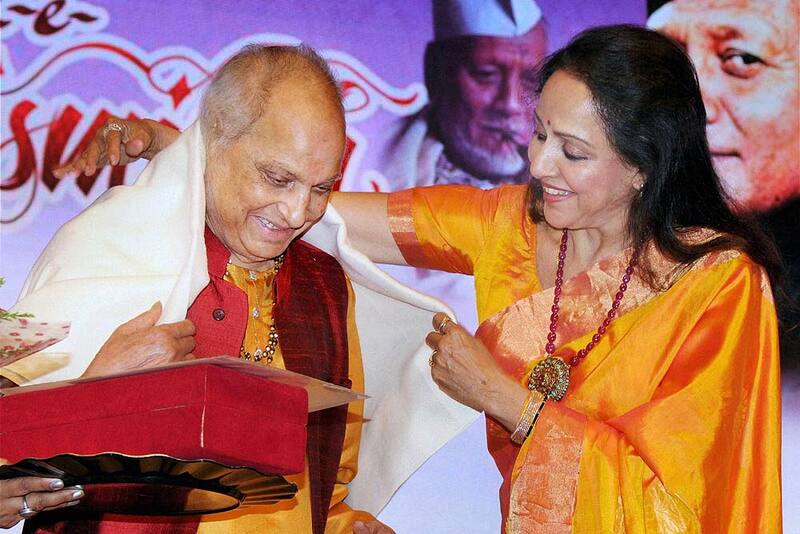 Bollywood Actress and Mathura MP Hema Malini felicitating Hindustani Classical Music Legend, Vocalist Pandit Jasraj on the occasion of the Centennial celebration of Bharatratna Ustad Bismillah Khan at Nehru Center, in Mumbai. 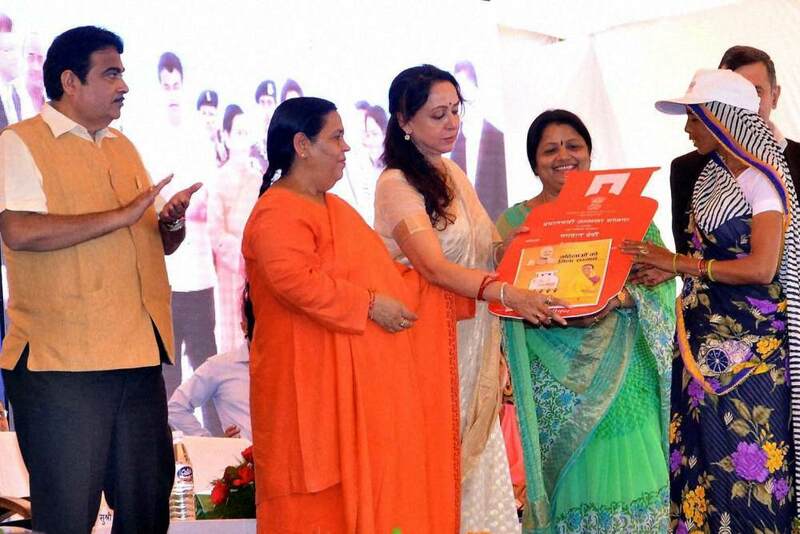 Union Ministers Nitin Gadkari, Uma Bharti, Dharmendra Pradhan & BJP MP & Bollywood Actress Hema Malini presenting LPG connection under Prime Minister Ujjawal Yojana in Vrindavan. Union Minister for Communication & IT, Ravi Shankar Prasad with BJP MP Hema Malini to inaguration and Foundation stone laying, Lauching of new services and schemes & distribution benefits to beneficiaries of various programmes during Vikas Parv function in Mathura. 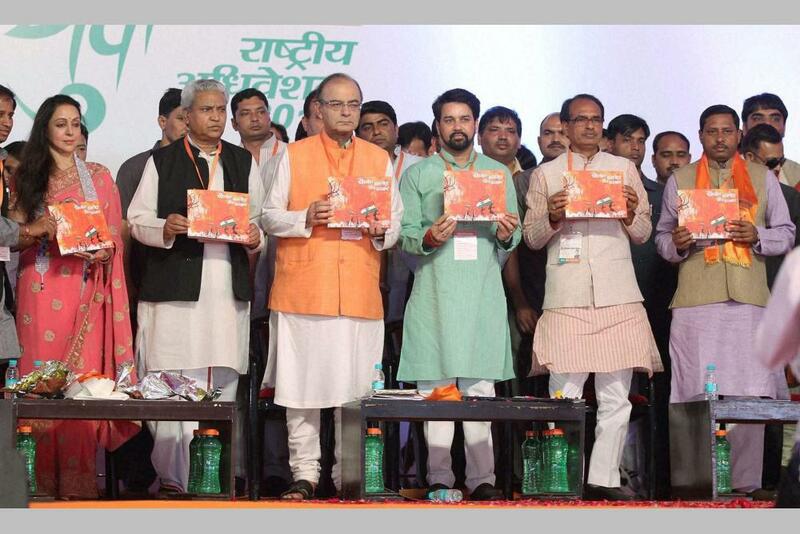 Arun Jaitley, Madhya Pradesh Chief Minister Shivraj Singh Chauhan, BJP MP Hema Malini, BJPYM President Anurag Thakur and Senior BJP Leader Ramlal at the national convention of BJP Yuva Morcha. 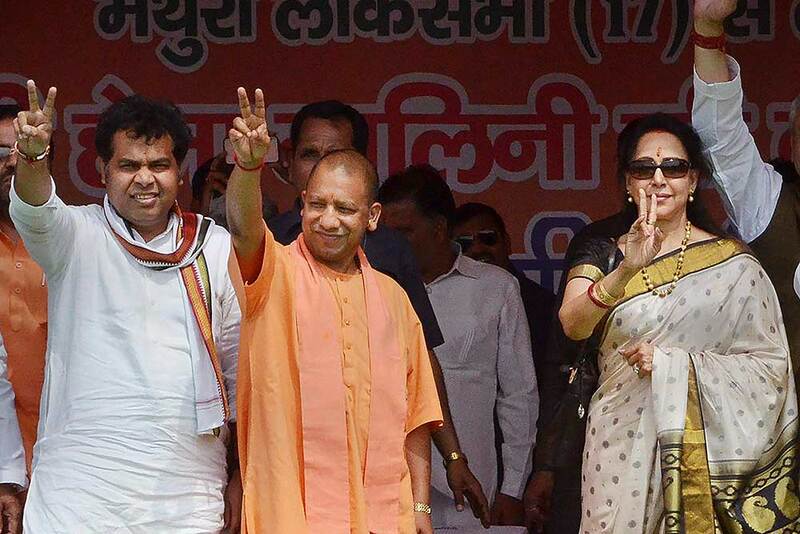 Bollywood Actress & BJP MP Hemamalini during inauguration of 26 road projects in Mathura, Uttar Pradesh. 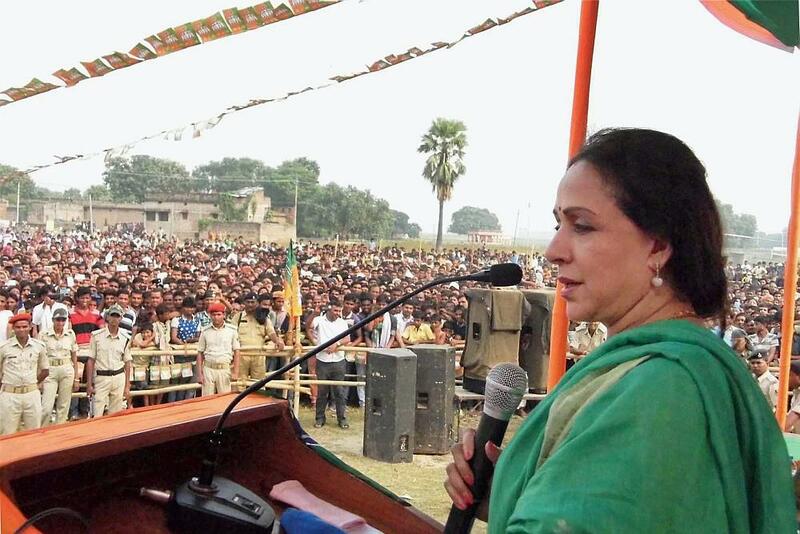 BJP MP Hema Malini addressing an election rally in Arrah, Bihar. 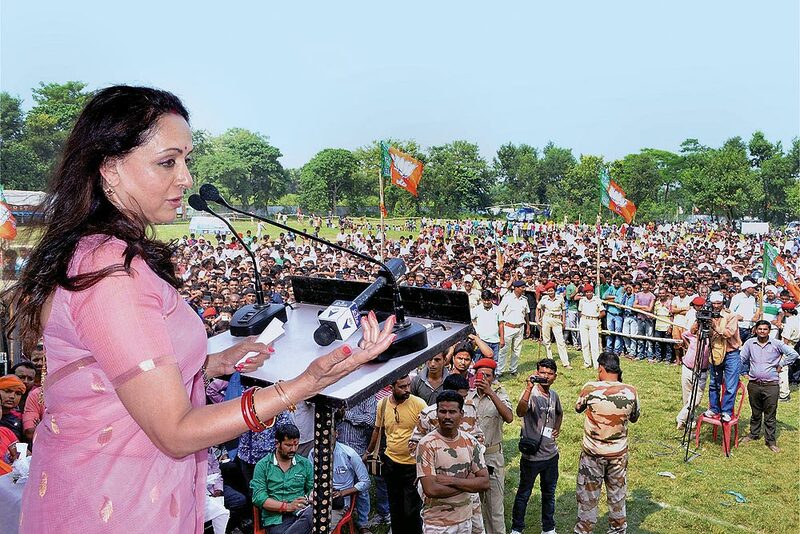 BJP MP Hema Malini addressing an election rally in Lakhisarai, Bihar. 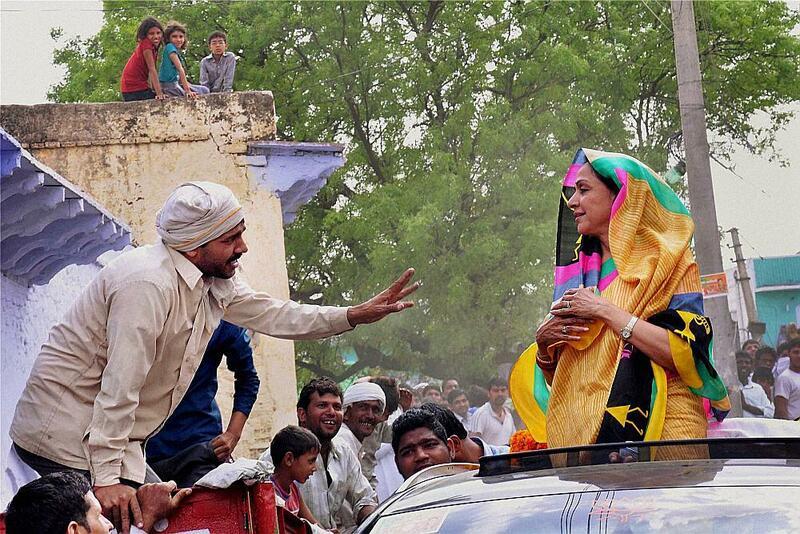 BJP MP Hema Malini was today mobbed during a public rally at Ral village in Mathura, Uttar Pradesh. BJP MP and actress Hema Malini during the monsoon session of the Parliament, in New Delhi. Combo image: Clockwise from left veteran actress and BJP MP Hema Malini being rushed to a hospital in Jaipur after being injured in a road accident in Dausa. 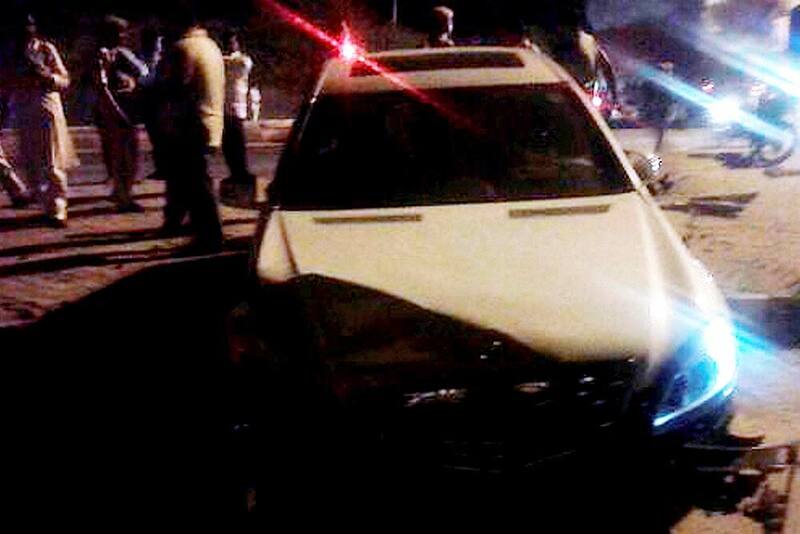 Hema Malini's Mercedes and the Maruti Alto at the accident site. 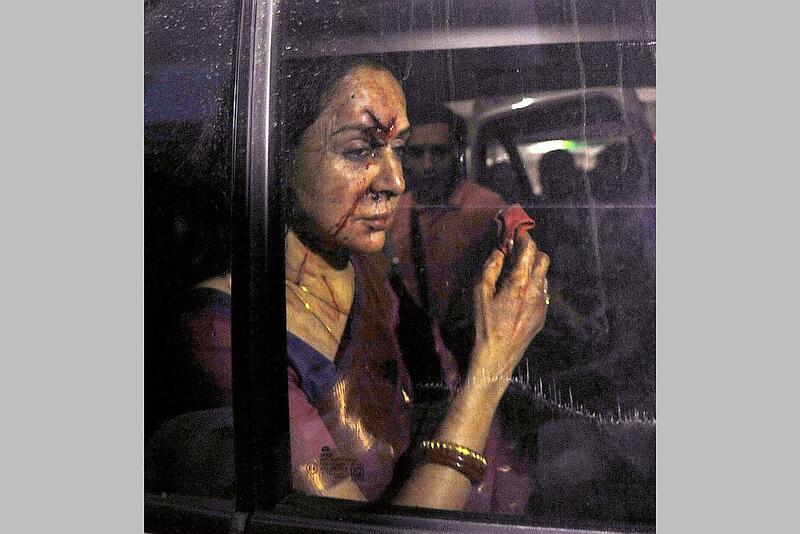 People crowd around the car of veteran actress and BJP MP Hema Malini after it met with an accident in Dausa. 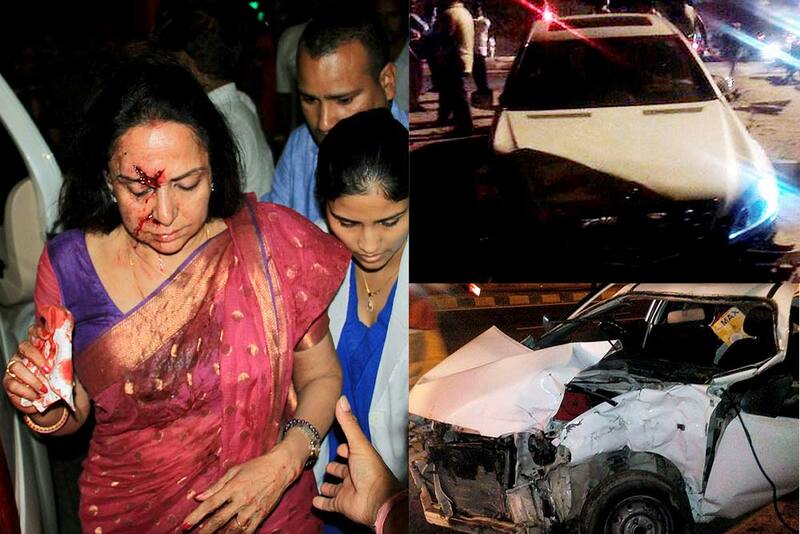 Malini sustained injuries in the accident and being rushed to a hospital in Jaipur. 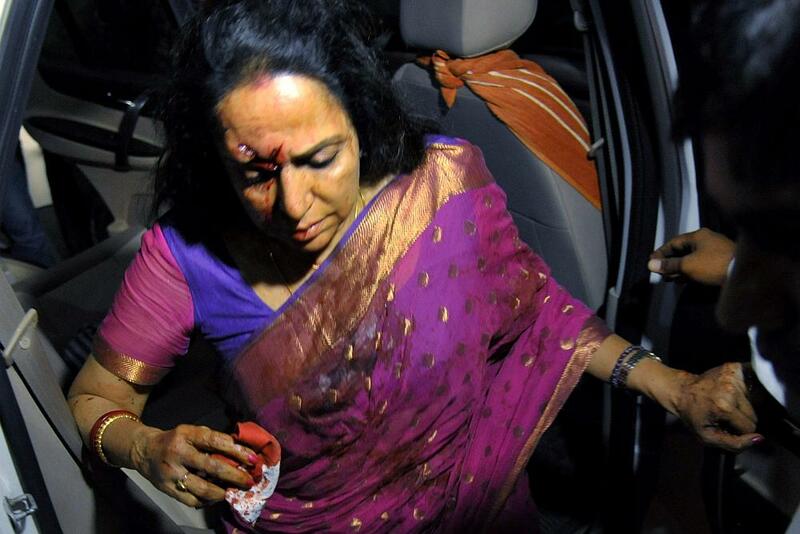 Veteran actress and BJP MP Hema Malini being rushed to a hospital in Jaipur after being injured in a road accident in Dausa. 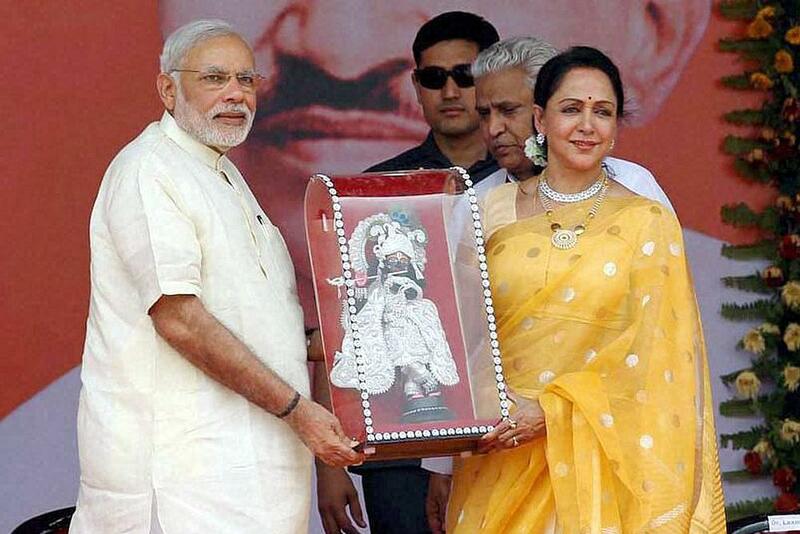 Prime Minister Narendra Modi is presented a memento by actor and BJP MP Hema Malini at the Jan Kalyan Rally at Farah in Mathura district. 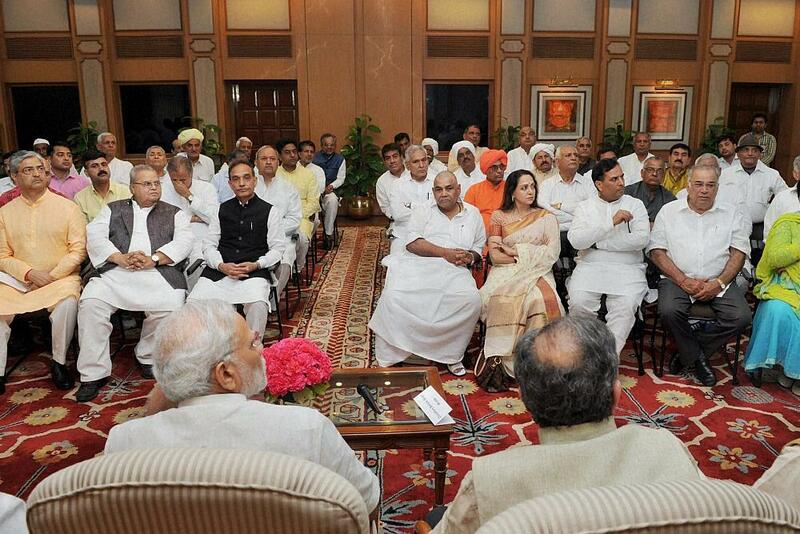 Prime Minister, Narendra Modi meets a delegation to discuss issues related to Jat Community, in New Delhi. BJP MP Jagadambika Pal celebrating Holi with party MP Hema Malini at Parliament House in New Delhi on Wednesday. BJP MP Hema Malini reacts as an MP smears Gulal on her forehead ahead of Holi celebrations, at Parliament House in New Delhi. 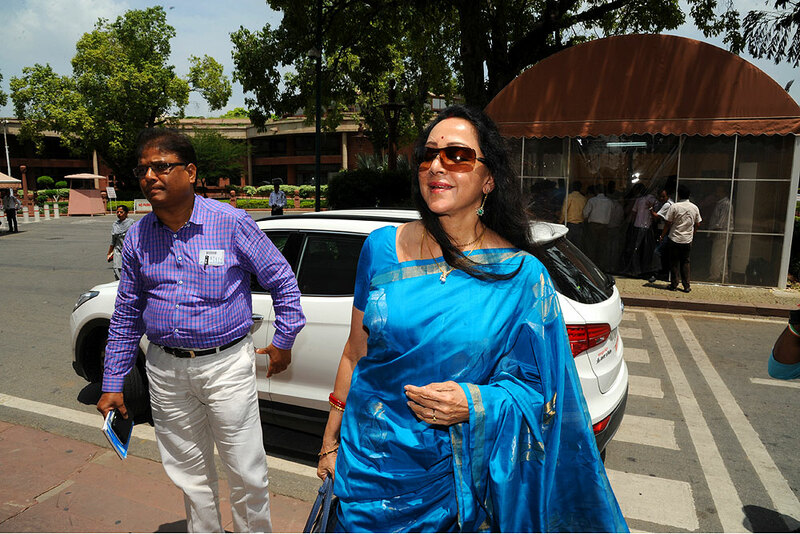 BJP MP Hema Malini arrives at the Parliament, in New Delhi. 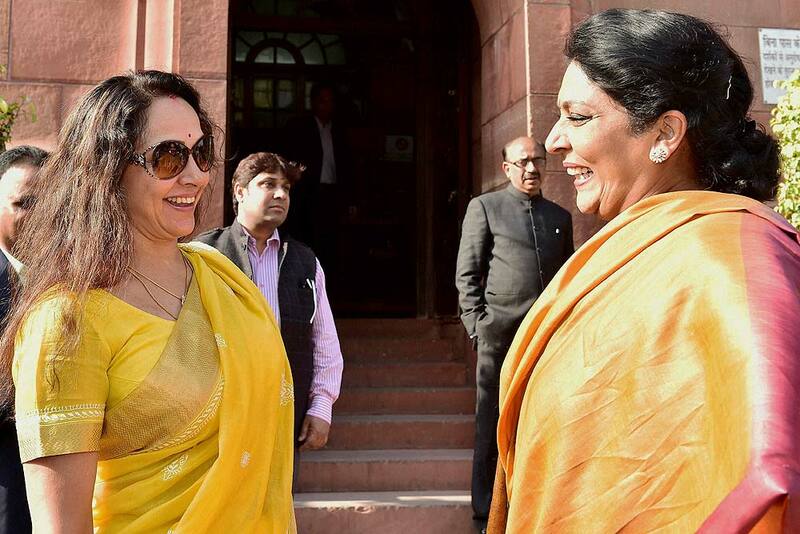 BJP MP Hema Malini with Congress leader Renuka Chowdary during the winter session of Parliament in New Delhi. 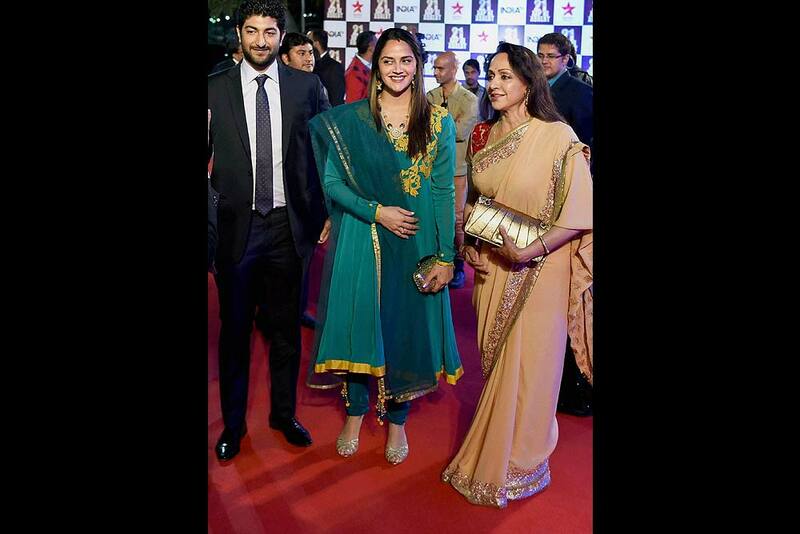 Actor and BJP leader Hema Malini with her daughter Esha Deol and her husband attending a function organised to celebrate completion of 21 years by the India TV show "Aap Ki Adalat" in New Delhi on Tuesday night 2 December 2014. 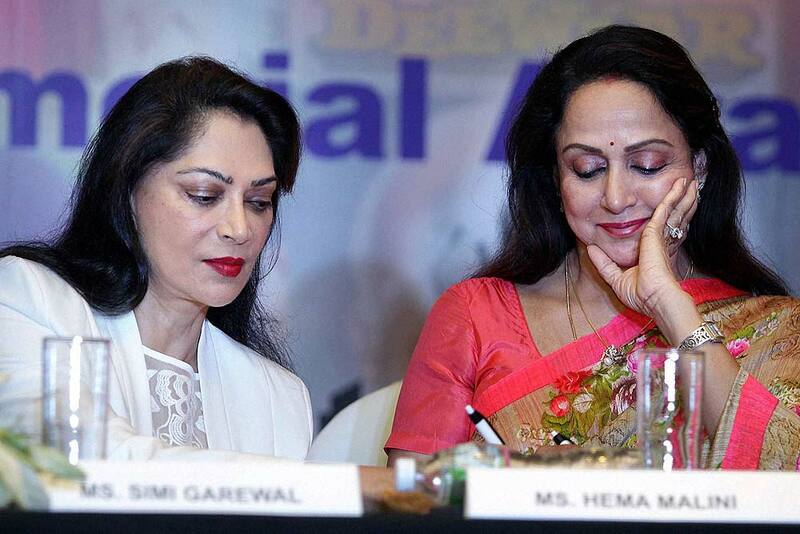 Actors Hema Malini and Simi Garewal during the announcement of 2nd National Yash Chopra Memorial Award in Mumbai on Thursday 20 November 2014. 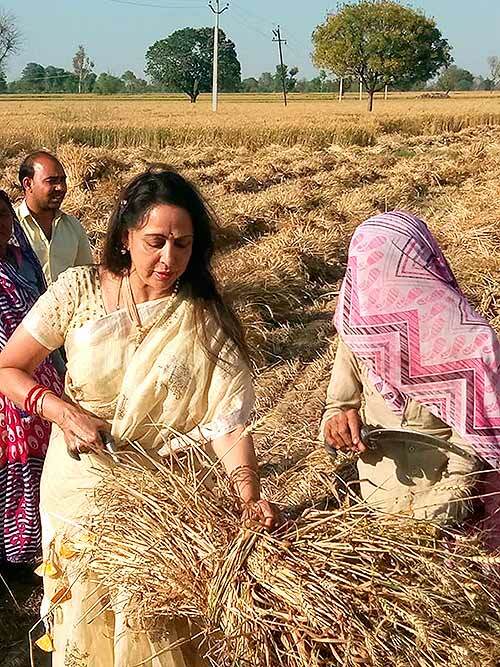 Actress & BJP MP Hemamalini offer her prays while officially adopting village Rawal near Mathura under the Prime Minister's Sansaad Adarsh Gram Yojana. 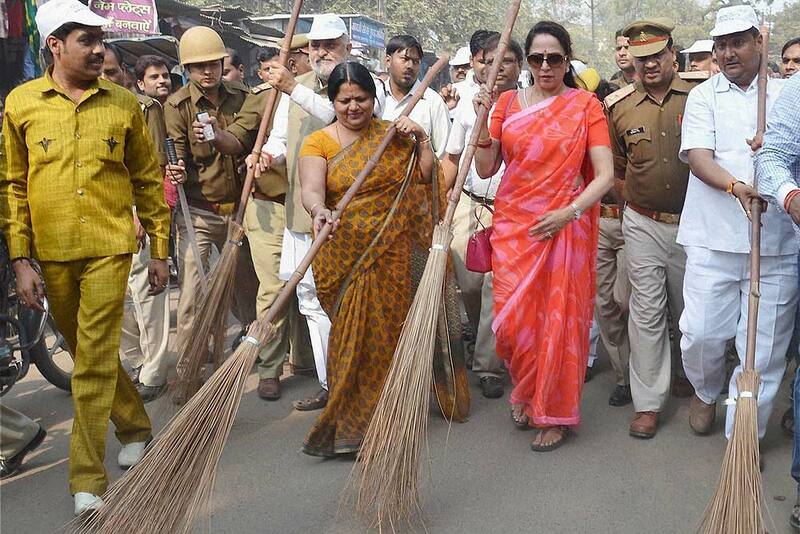 Actress and BJP MP Hema Malini sweeps a road as she participates in Swachh Bharat Abhiyan, in Mathura. 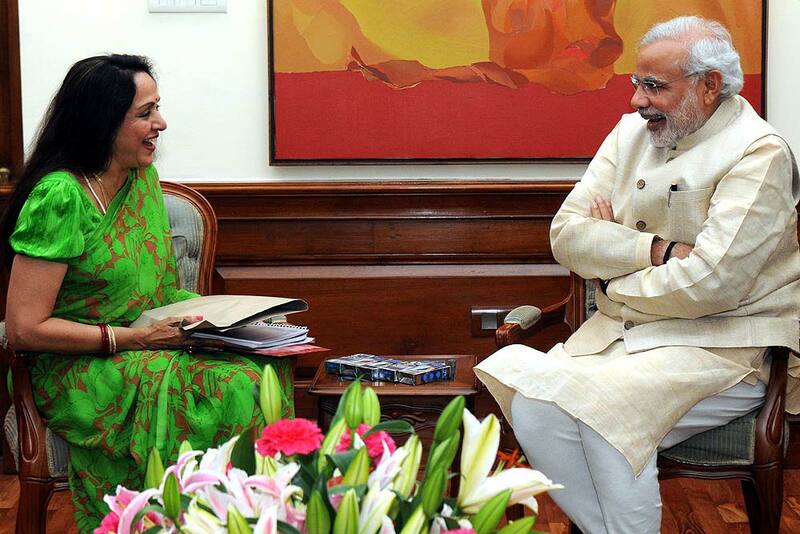 The Lok Sabha MP, Hema Malini calls on the Prime Minister, Narendra Modi, in New Delhi. 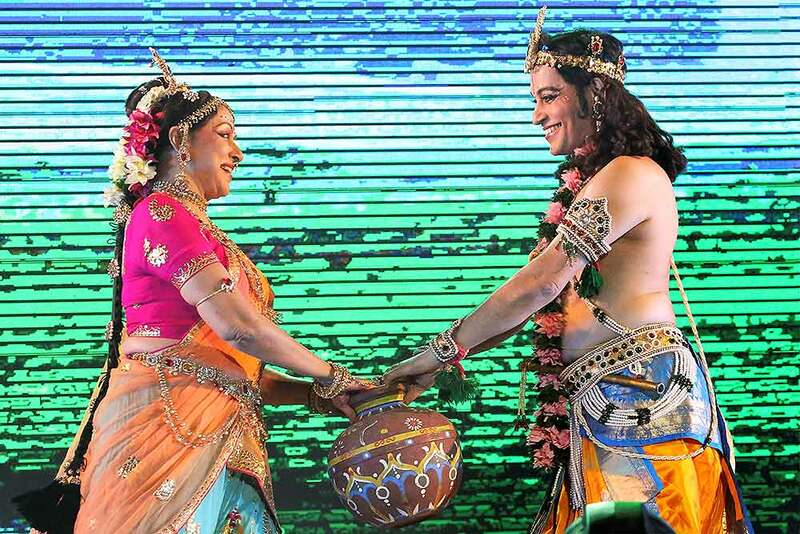 Actress and BJP MP Hema Malini perform at a programme in Mumbai on Sunday night. 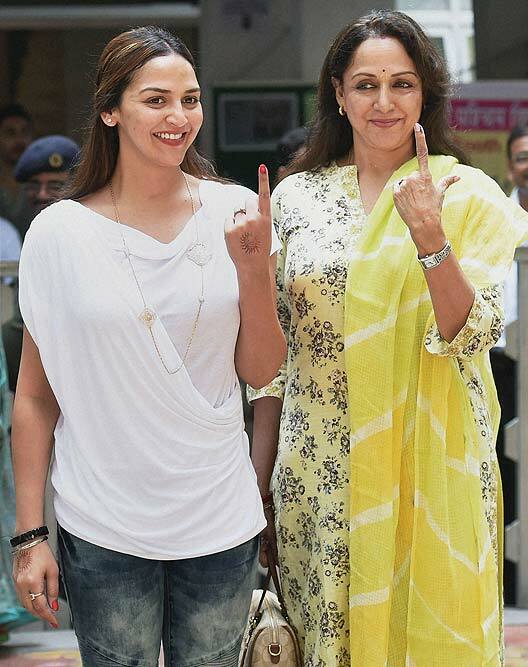 Actors Hema Malini and her daughter Esha Deol show their inked fingers after casting votes for Assembly elections at a polling station in Mumbai. 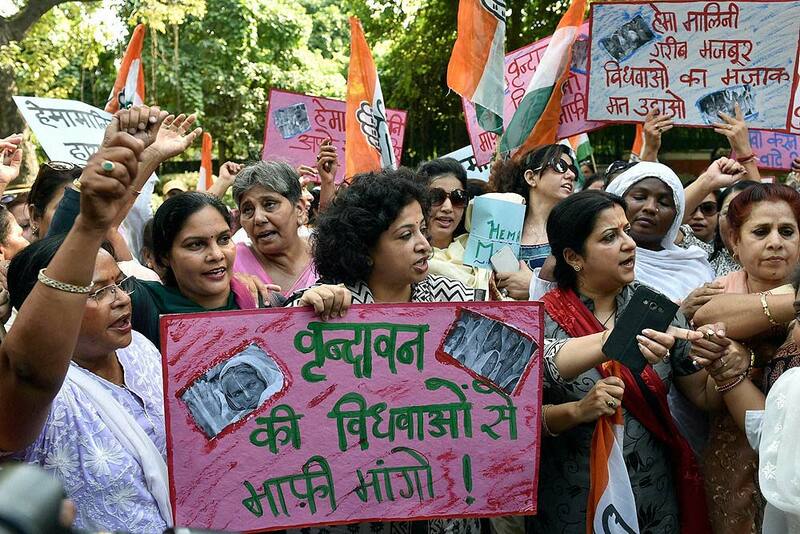 Members of women’s wing of Congress party protest against BJP MP Hema Malini over her remark on Vrindavan widows, near the BJP office in New Delhi. 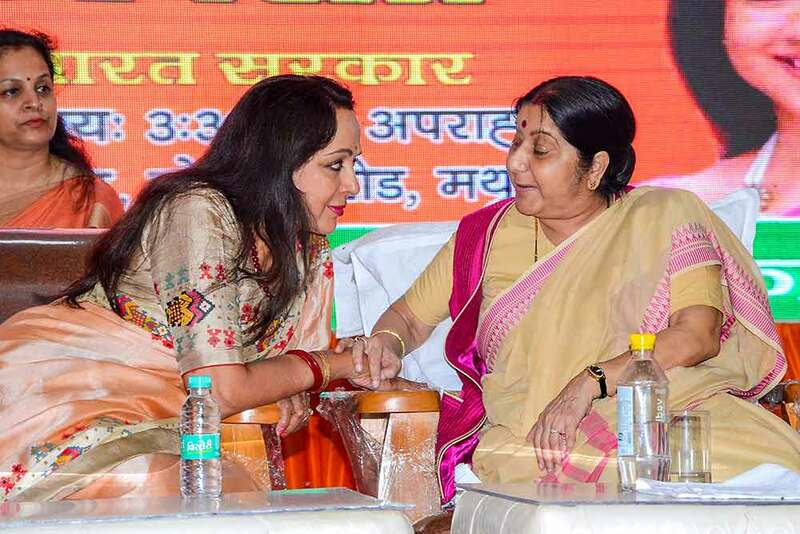 Actress and BJP MP Hema Malini at a meeting with the locals in Mathura. 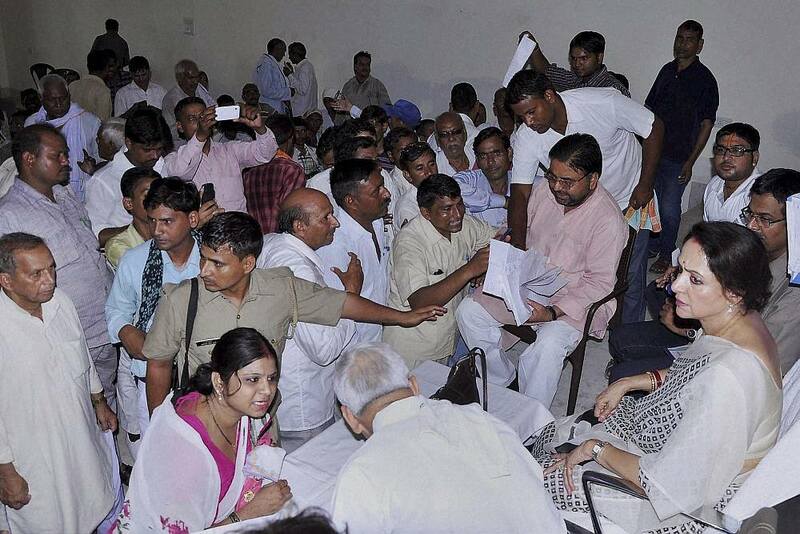 Actress and BJP MP Hema Malini listening to people's problems during a visit to Mathura. 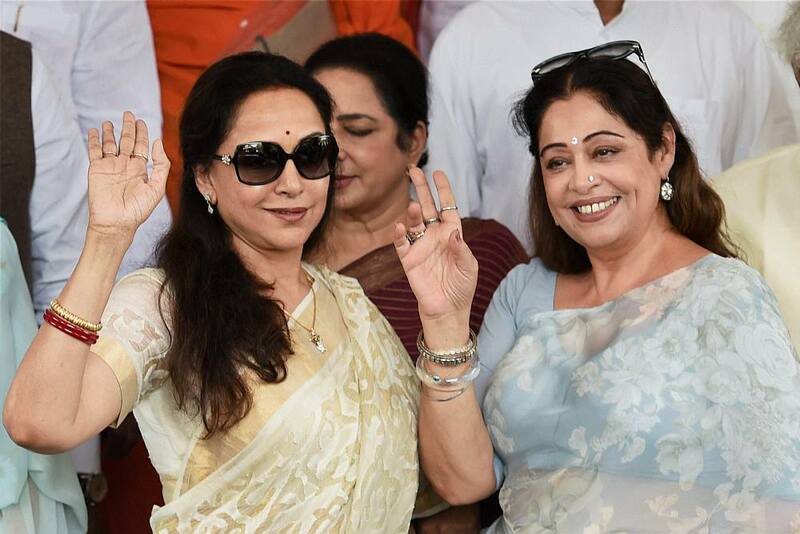 BJP members Hema Malini and Kirron Kher after the joint session of Parliament in New Delhi. 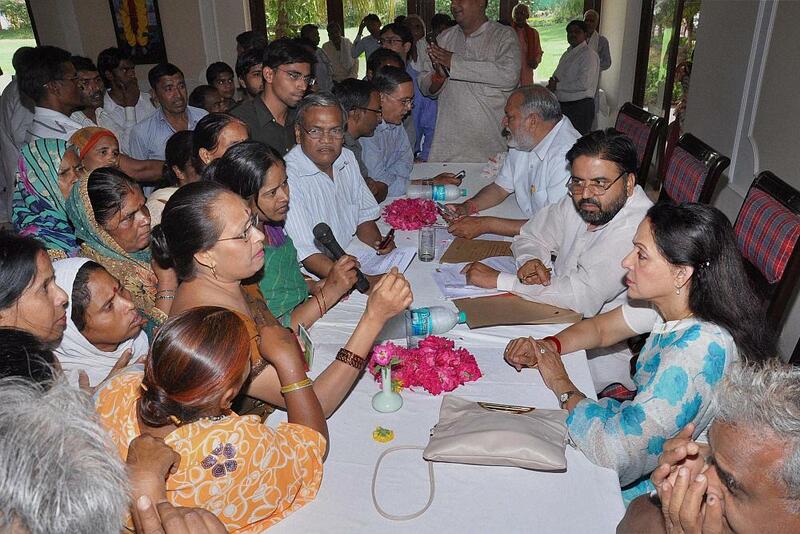 MP Hema Malini interacts with members of the public during her 'Janta Darbar', in Mathura. 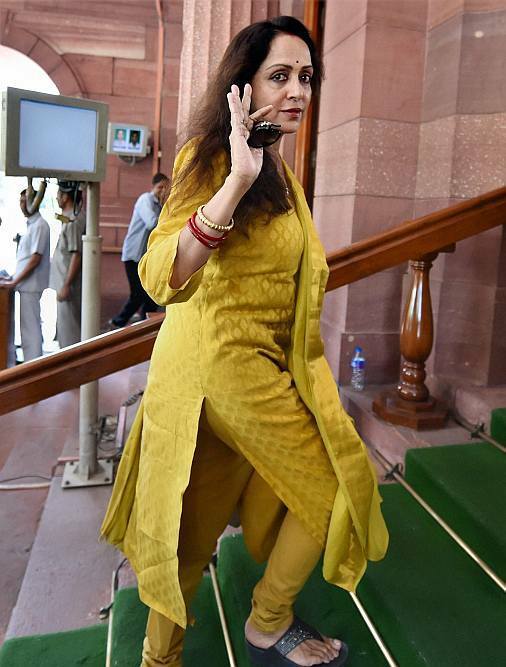 BJP MP Hema Malini arrives at Parliament House during the 1st session of 16th Lok Sabha in New Delhi. Forecourt Shots At the swearing in of the new government at Rashtrapati Bhavan, sports jostled with politics, industry and entertainment for a dekko at the loudest pomp and circumstance march in recent times. 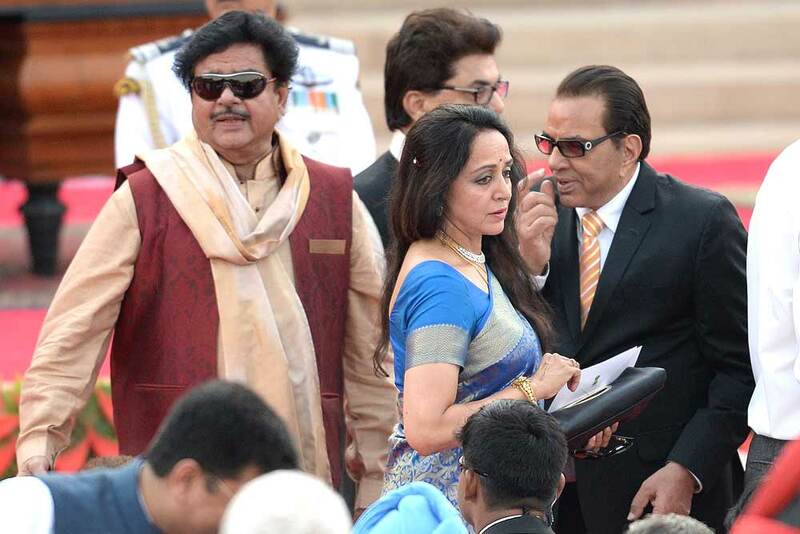 Was that the strain that tired the ever elegant Hema Malini and ruffled Shatrughan's gills? But no crush can faze the dude. 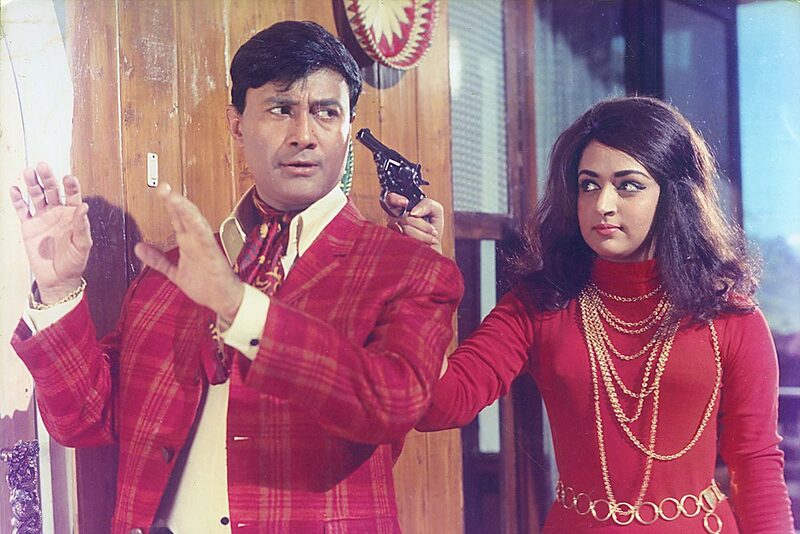 Dharmendra had the air of one who's seen it all. 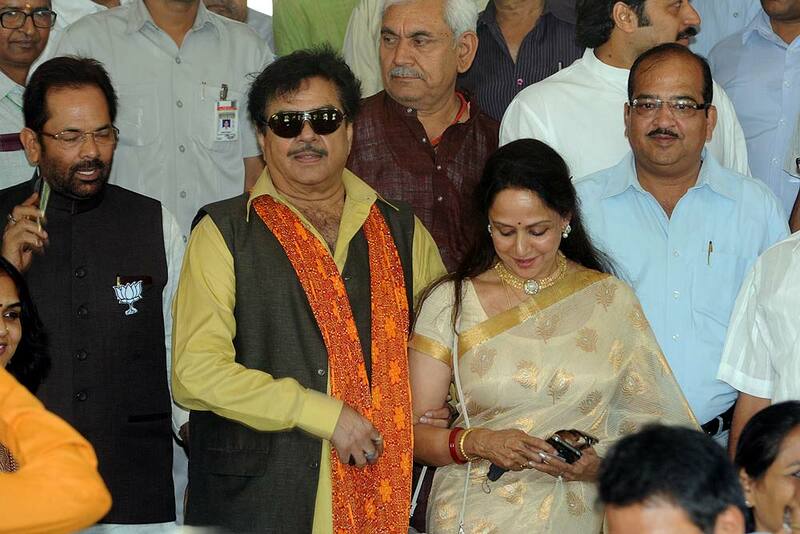 BJP leaders Mukhtar Abbas Naqvi, Shatrughan Sinha and Hema Malini at BJP parliamentary party meeting, in New Delhi. 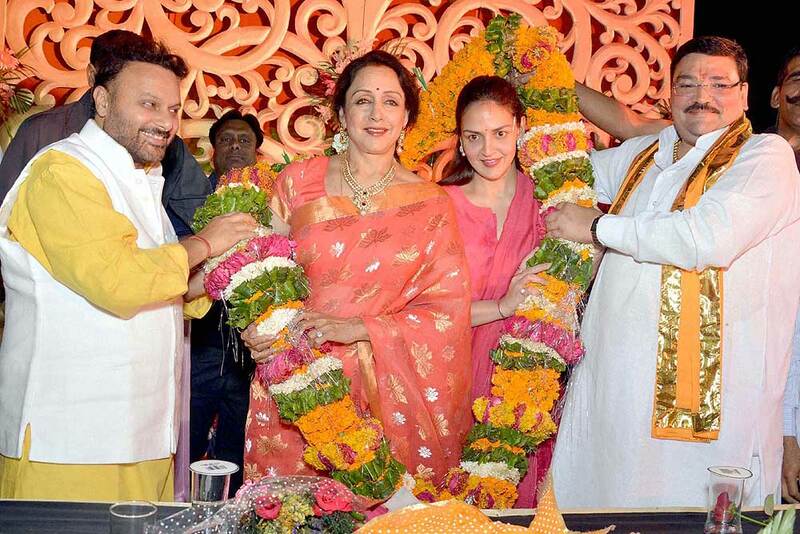 BJP's winning candidate Hema Malini is garlanded along with her daughter Esha Deol at a felicitation function in Mathura. 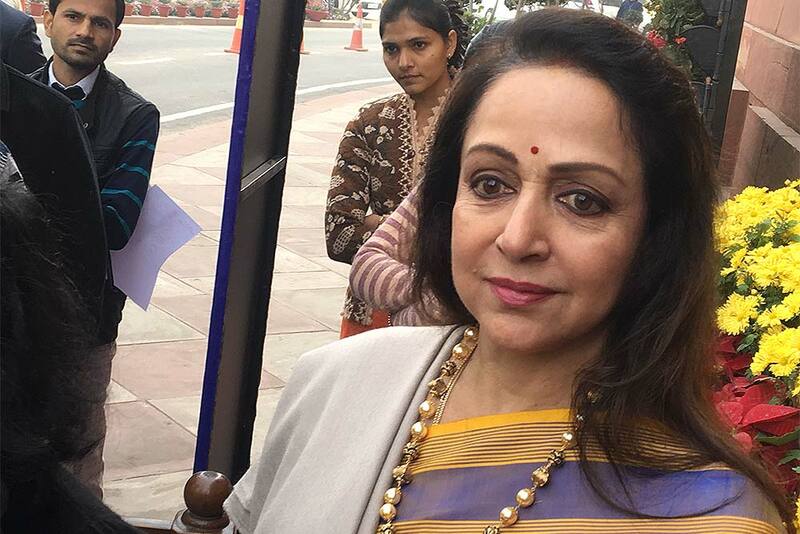 Bollywood actress and BJP's newly elected member Hema Malini receives certificate of win in Lok Sabha elections from the District Magistrate at a counting centre in Mathura. Permanent Bloom she has been featured in these pages before, in the full heat of the campaign— so we do a recap with a fresh angle. 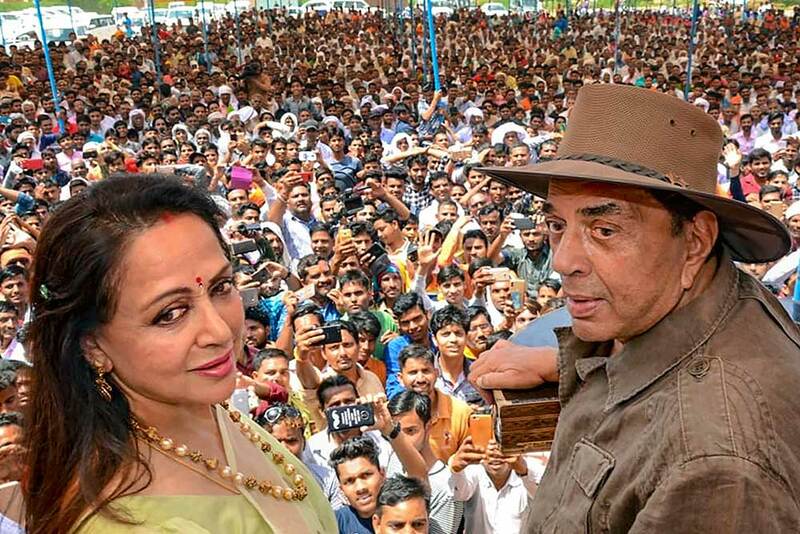 As evident, the swelter of the road hasn't dimmed Hema Malini's charm, unlike the lotus han­ded her in Farah, near Math­ura, by a dear old man. 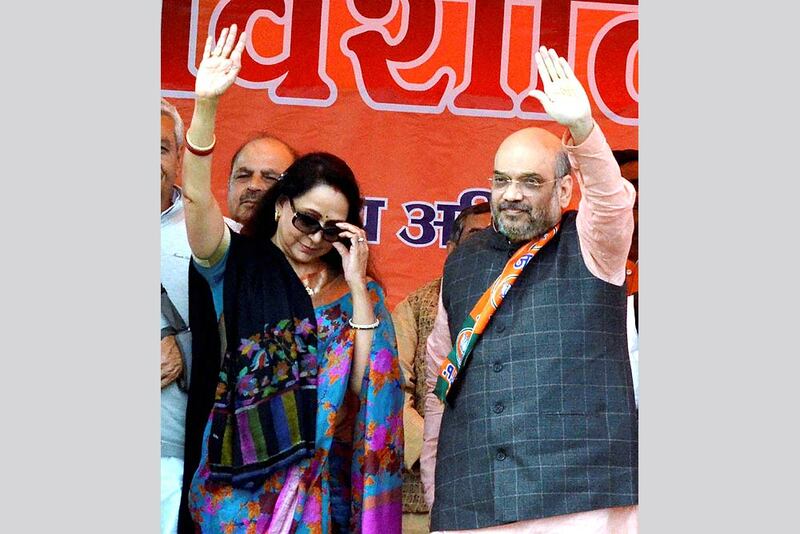 Actress and BJP candidate from Mathura, Hema Malini during an election campaign for party candidate in Dehradun. 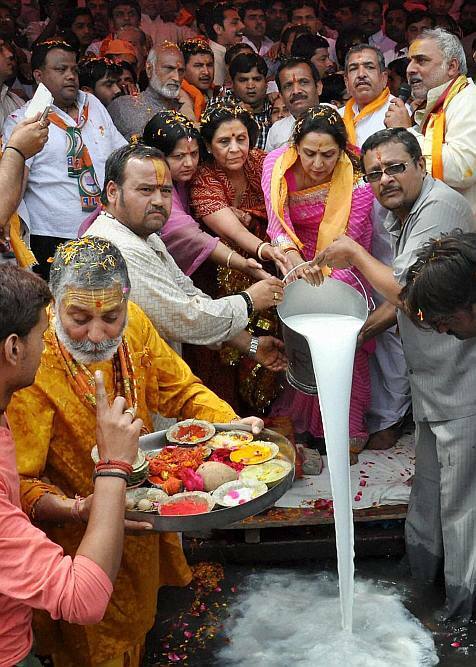 BJP candidate Hema Malini during her election campaign in Mathura. 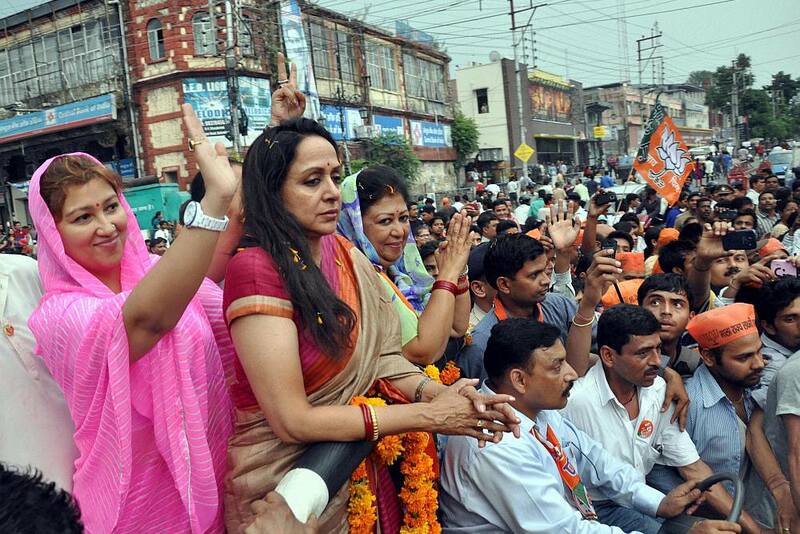 Actress and BJP candidate Hema Malini during her an election campaign in Mathura. 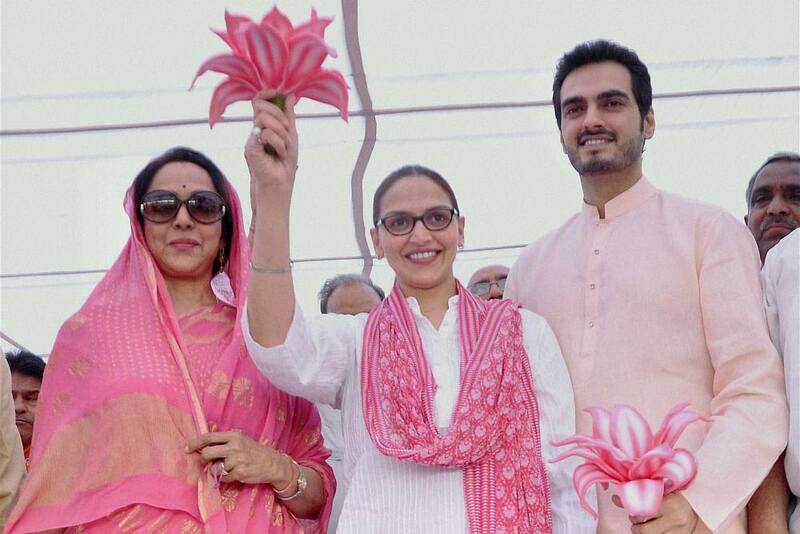 Esha Deol along with husband Bharat campaigning in support of her mother and BJP candidate Hema Malini in Farah near Mathura. No Need For Protective Cover Of all past actresses traipsing the demanding road to political reckoning, of all doting moms trying to drag daughters through the after-effects of raging fame, she alone would never fade. 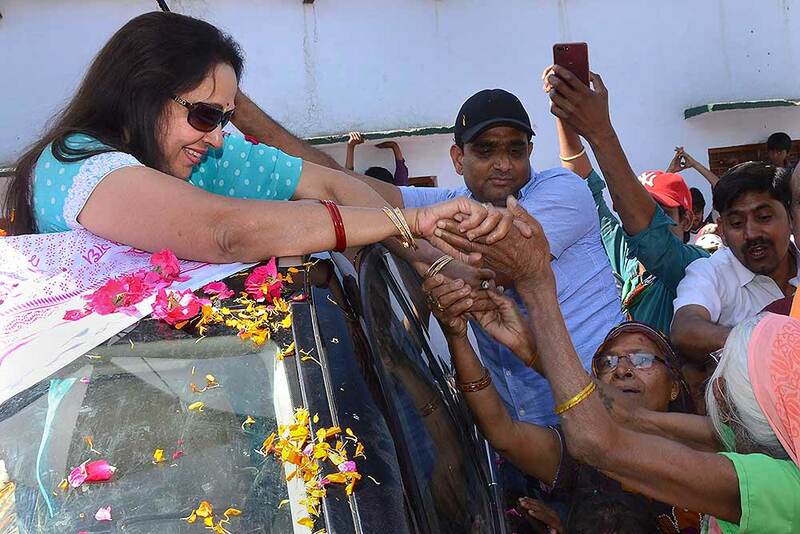 Though campaigning for a resurgent bjp in Mathura isn't a tough ask, just thumbing her nose at senescence is fun for Hema Malini. 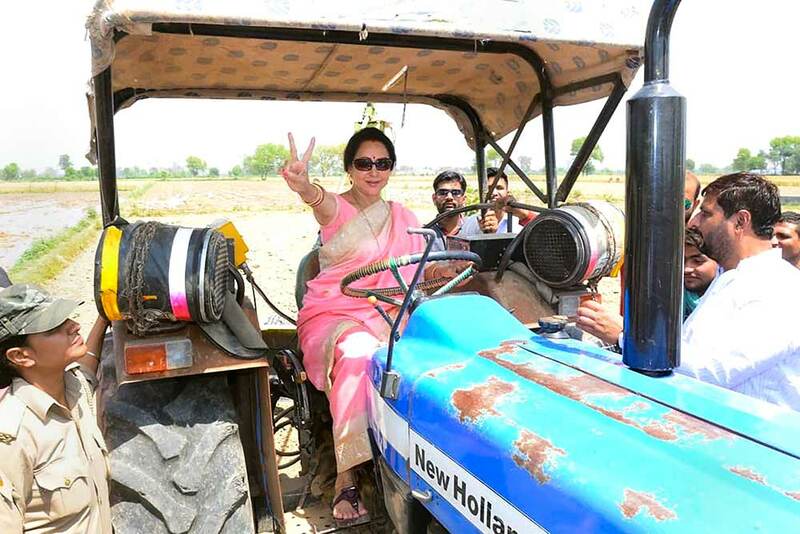 BJP Candidate Hema Malini during an election campaign in Baldev near Mathura. 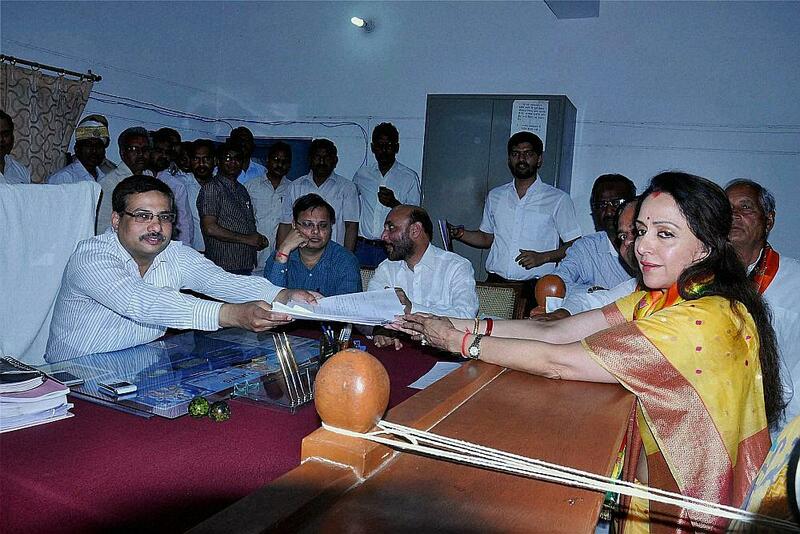 Bollywood actress and BJP candidate Hema Malini files her nomination papers for Lok Sabha elections in Mathura. 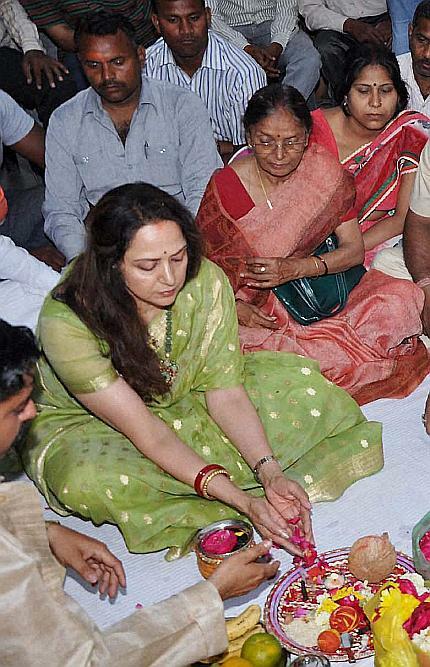 BJP Candidate and Bollywood actress Hema Malini perform a puja during her election campaign in Mathura. 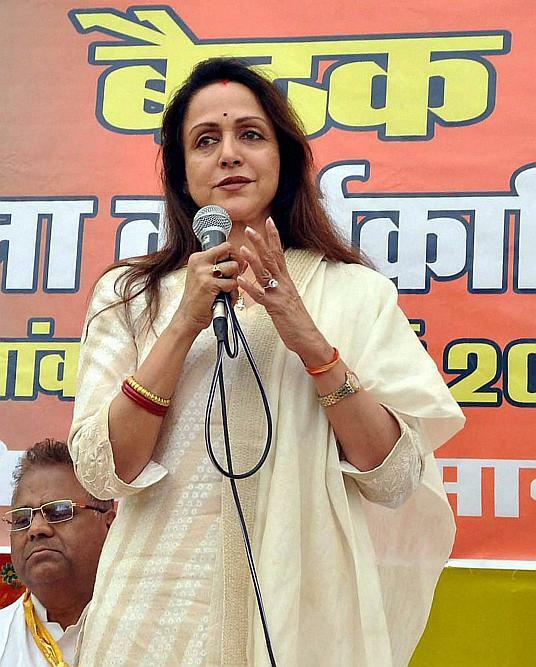 BJP candidate and Bollywood actress Hema Malini addressing party workers in Mathura. 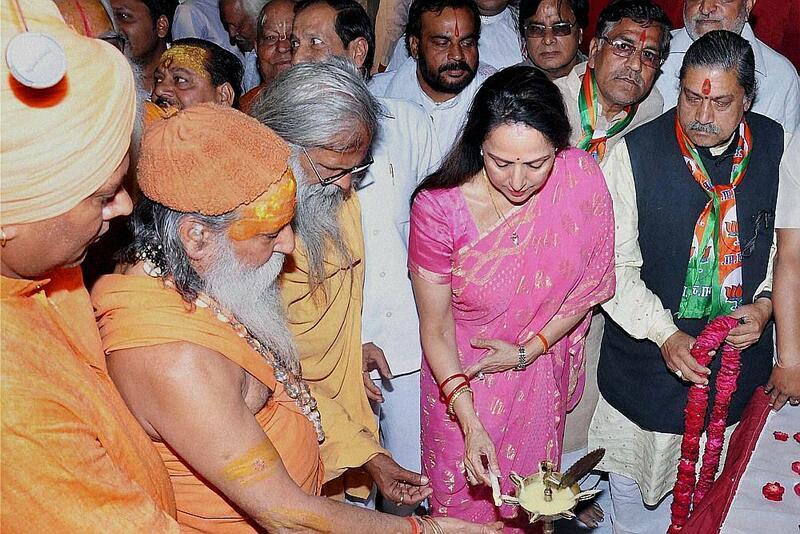 Bollywood actress & BJP candidate Hema Malini during the inauguration of her election office in Mathura. 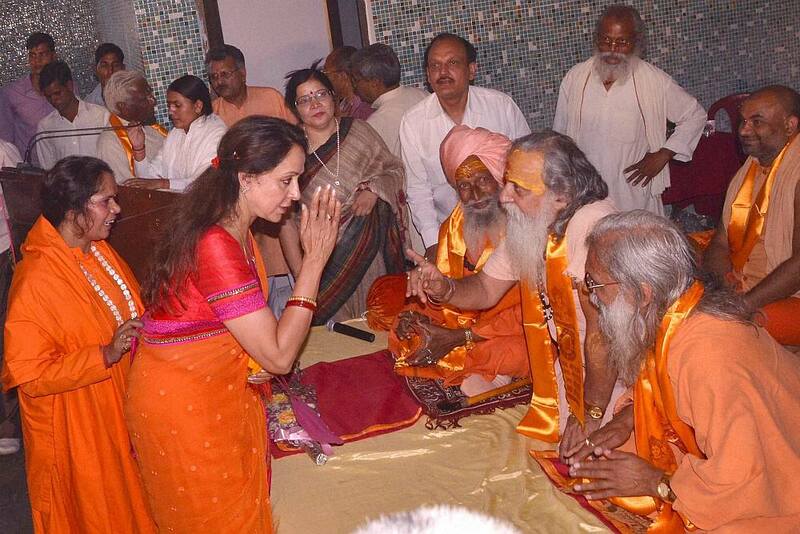 BJP candidate Hema Malini at the Vishram Ghat in Mathura.